the tree roots are damaging affixed structures, ie. home foundation, driveway, etc. What to do with the Stump? By industry standards, stumps are not actually pulled out or removed with, for example, a backhoe (unless your contractor is doing so for major renovations). 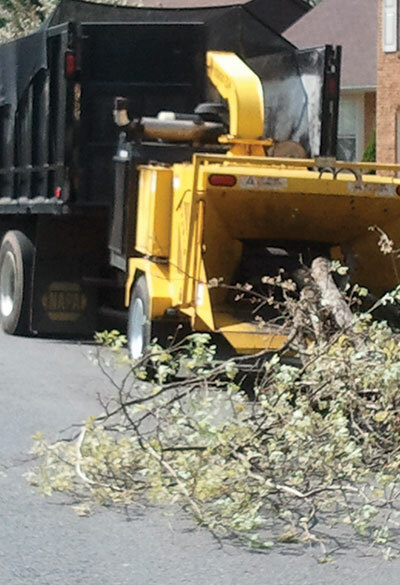 Professional tree surgeons use specialized equipment called stump cutters. This large piece of equipment precision-grinds the stump into a product called stump mulch. 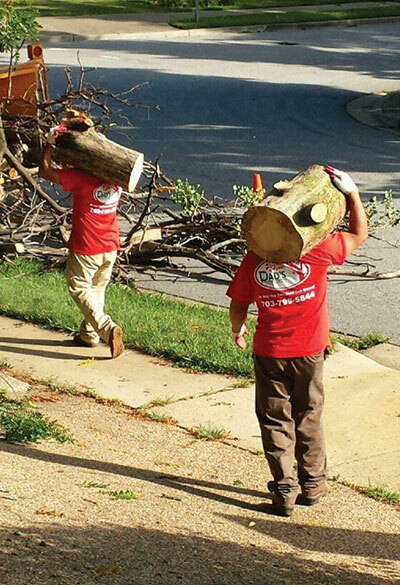 Stump grinding is a highly effective way of destroying the stump and it allows for planting grass where the tree had previously been. Stump mulch is generally not good for mulching near the house because it is not treated against termites, and is considered “dirty mulch.” Dad’s will, if desired, offer homeowners the option of having our crew remove the excess stump mulch for you (in conjunction with the stump grinding service), and fill the remaining hole up with topsoil. 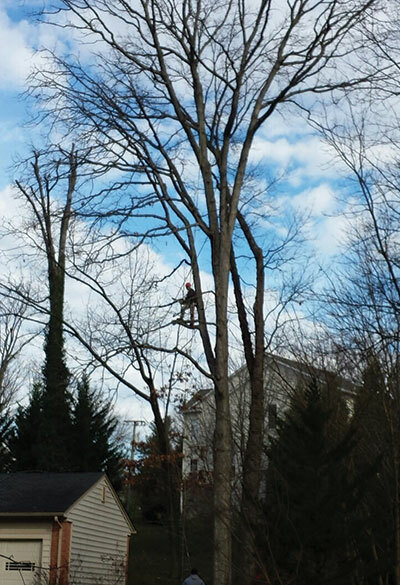 This option is not offered by all tree care companies, but is offered by Dad’s in response to many loyal client requests for this service over the years. 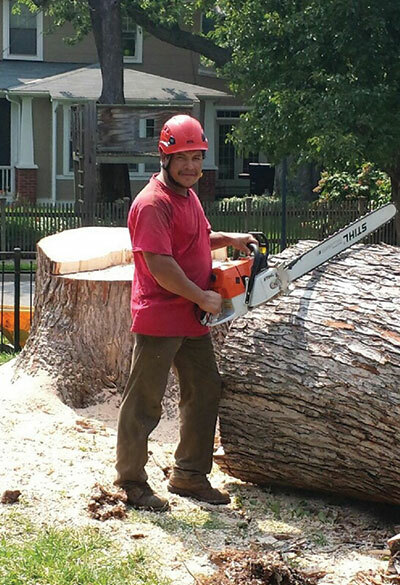 Contact Dad's Tree Service today for more information on our tree removal and stump grinding services in Arlington VA and the surrounding areas.